Aventura Spa Palace, luxury meets adventure at this Adult Only All Inclusive Resort. 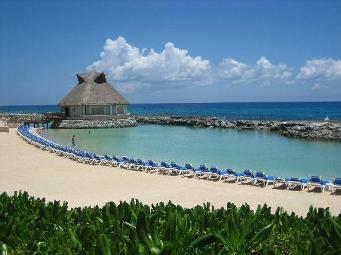 This All Inclusive Resort is located near Tulum which is about 30 miles south of Cancun in the Riviera Maya. Upon arrival at your hotel, you will be greeted with a glass of sparking champagne and a hot towel. 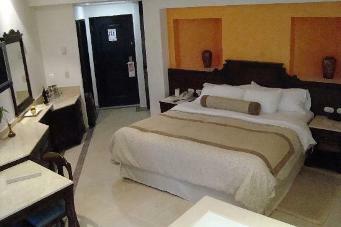 Soon after you check in, you will be escorted to your all inclusive suite. There are over 1500 rooms at this resort and most have balconies with a relaxing hammock, perfect for reading a book. handcrafted furniture, marble bathroom with glass shower and large private balcony. After dropping off your belongings in your 5 star room, you will want to take advantage of some of the amenities that this All Inclusive Resort offers. 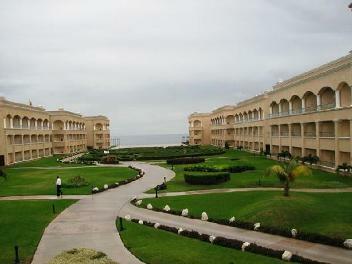 There are romantic archways, wide and spacious lawns and gardens for the romantic in you. For a bit of relaxtion, there is an indoor pool, several outdoor large pools that wind around the resort, a yoga hut, meditation garden and not to mention the 5 star Spa for perfect Spa Vacations. Have you dreamed of Spa Vacations? The breathtaking Spa consists of a special hydrotherapy area with scented candles, soft lighting, cascading waters, massages, facials, steam & sauna and swiss showers. That is to only name a few of their many services. When you are in the mood for a little more adventure, this breathtaking resort offers a 100 foot climbing wall, lap pool, and kayaking in the lagoon! There are 3 lighted tennis courts and golf nearby on 2 championship courses. For the fitness enthusiast, there is a large gym overlooking the pool and with oceanview, 14 obstacle fitness trail, virtual spinning and aerobic room. There is no beach at the Aventura Spa Palace. Beautiful large rocks separate the lagoon from the ocean. Check out some beach photos I took. 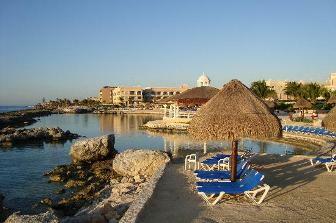 However, this all inclusive resort does offer a shuttle service to a hotel in Play del Carmen for use of the beach. I know how important food is to you on a vacation! Very Important! This Caribbean resort offers 7 restaurants including, Mediterranean, International, Italian, Oriental, and California specialties. Several bars are available with top shelf alcohol and wines, as well as a juice bar. Room service is available 24 hours a day! This Caribbean resort is a blend of relaxation and adventure in a Magical setting!